Any notion that California Senator Kamala Harris does not know much about, or underplays her Jamaican heritage was dispelled on a recent visit to South Florida, home to over 100,000 Jamaicans. In Miami for a fund-raiser in support of Senator Bill Nelson, she and sister Maya rubbed shoulders and posed for photos with a number of prominent Jamaican Americans, including Mayor of the City of Miramar Wayne Messam and City of Miramar Commissioner Winston Barnes among others. I read the whole thing. There is not a single mention about her mother Shaymala Gopalan Harris who is a Tamil from India. Big up Jamaica yes, but please don’t forget that she has an Indian mother. 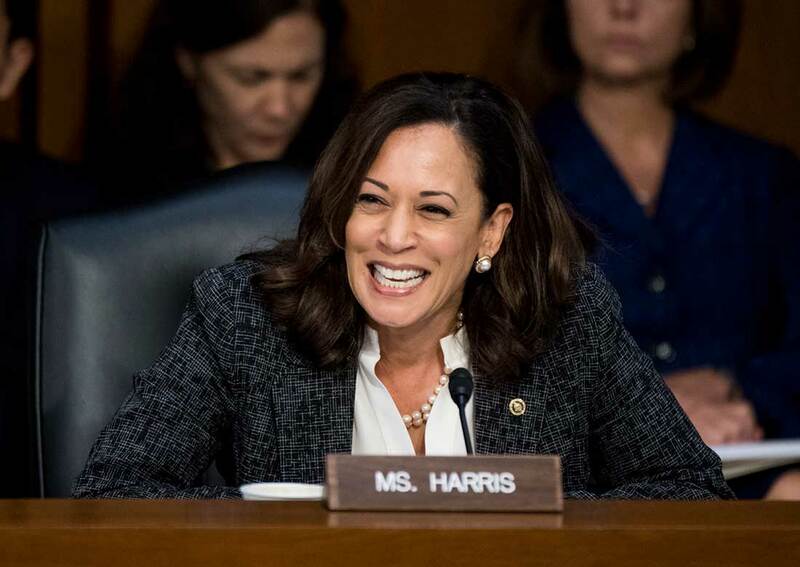 Kamala Harris has the right stuff to be president. She is the diametrical opposite to the Clown now in the White House. I predict she will win the Democratic nomination and go on to win the US Presidency. As for her Indian mother, no need to fuss about it. Everyone will know who she is as history unfolds. Dr Naraine: Haven’t yet read the article. I’m in a hurry. But three years ago I predicted she will be the first woman president of U S . The senator from Hawaii ( forgot her Name) will be a close contender. The Congresswoman from Hawaii is Tulsi Gabbard, a Hindu. Thx Dr Naraine.. These two women, Kamala & Tulsi, will move America forward. But, take a look at the comments on Dr. Harris’ article. The religious and cultural debasement by ‘Luis D Rey’ and ‘Noemie NJOH NJOH’s adjacent posts match Freddie Kissoon & Clem Seecharan’s denigration of Indians and Hinduism. He of course was referring to her Indian mother and her Hindu religion. East Indians do not like Black people? I was raised by black people in the logies at Vergenoegen. They were my second parents. Not even election time in Guyana was able to affect our close relationship. This man help those who are sitting on the fence STILL ….